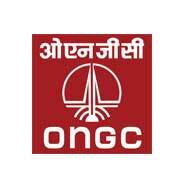 13 February 2019 - Explore Revenue Officers jobs in Kolkata with 4 years to 4 years experience via ONGC. Register here to apply online for similar kind of Revenue Officers jobs. Qualification : Should necessarily possess minimum three year work experience in the field of Land Acquisition in West Bengal preferably in the District of North 24 Parganas retired from a post not below the Rank of Asstt. LAO under the Government of West Bengal, in Revenue Department, Government of West Bengal. Sufficient knowledge of computer. Interested candidates may report for a Walk- in-Interview at ONGC, Technopolis BP-4, Sector – V, Kolkata on 20.02.2019. The registration for Walk-in-interview will be done during 10.00hrs to 11.00 hrs. and will be closed at 11.00 hrs. No candidate will be considered after 11.00 hrs. Candidates should bring Experience Certificate, Service Discharge Certificate and all original certificates with two set of photocopy of each and an application duly typed in A-4 size paper using the APPLICATION FORMAT given in the website. Please affix a recent passport size photograph on top right side corner of the application.